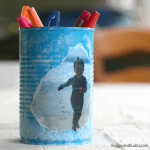 This painted rock photo holder craft for kids is perfect as a homemade gift for Mother’s Day, Father’s Day, Christmas, and also makes a great summer camp craft! 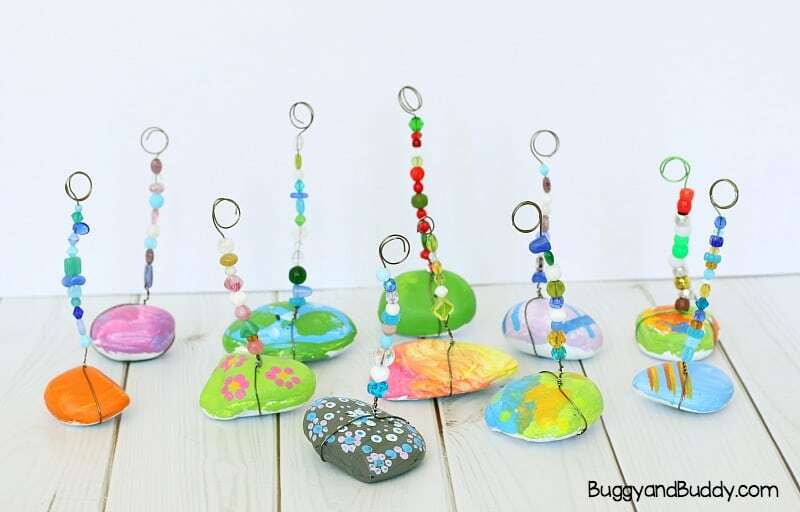 This creative craft using stones of various sizes can be adapted for just about any age. 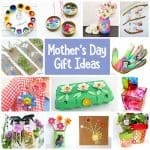 I’ll share tips for adapting this craft for each of the directions below. 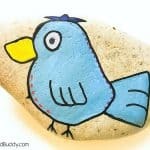 Painting rocks has become quite the trend recently… and for good reason! 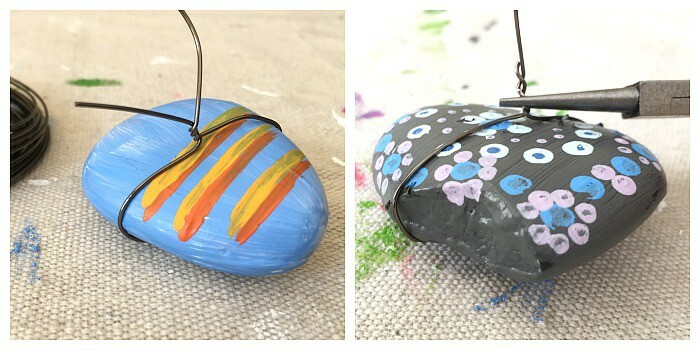 There are so many creative ways to paint rocks, and there’s just something super special about creating with items from the outdoors. 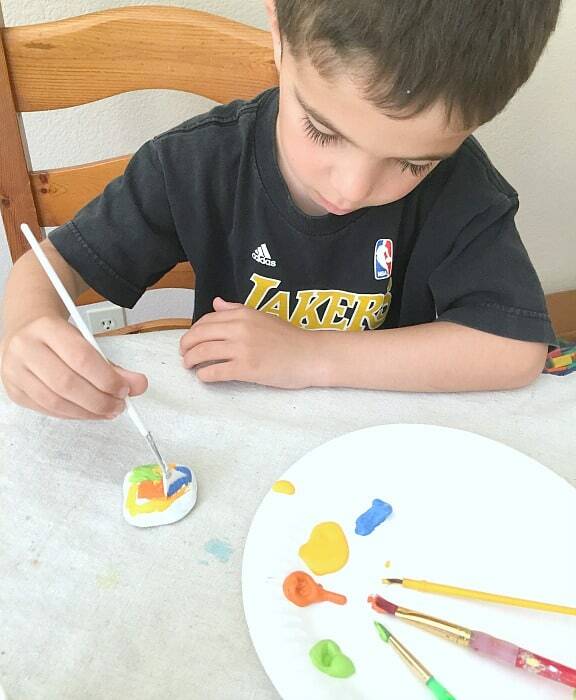 Why not turn your painted rocks into a special keepsake? 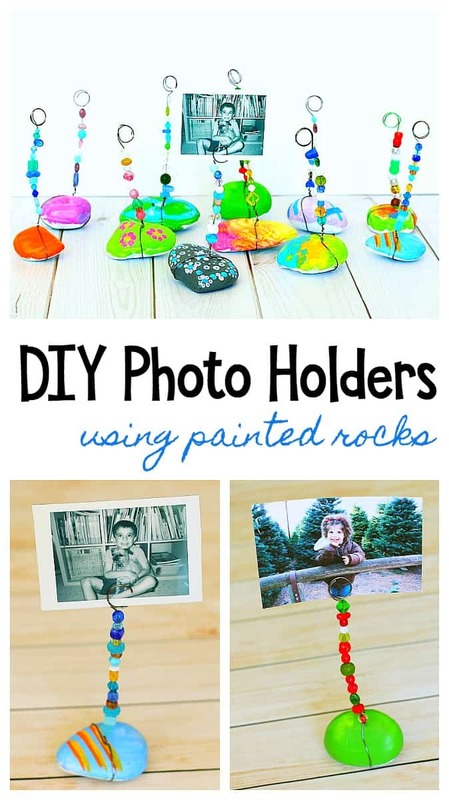 In this tutorial I’ll show you how to use your painted rocks to make special photo holders you can display at home or give as gifts to those special people in your life. 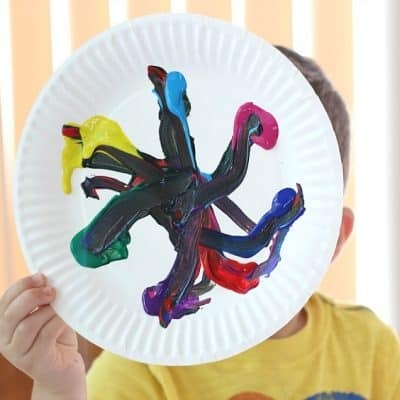 Don’t be hesitant to do this craft with young children. 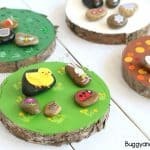 With a few modifications, which I’ll share below, even preschoolers can take part in this special rock craft for kids! 1. Start by washing your rocks with water and letting them dry completely. 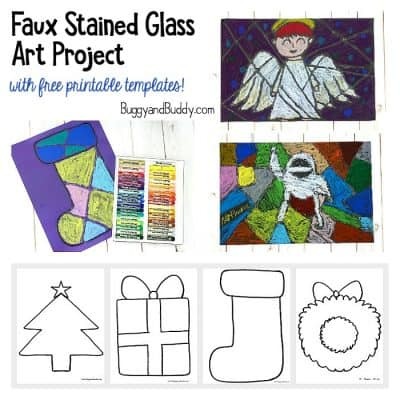 This is a fun task for the kids to do! 2. 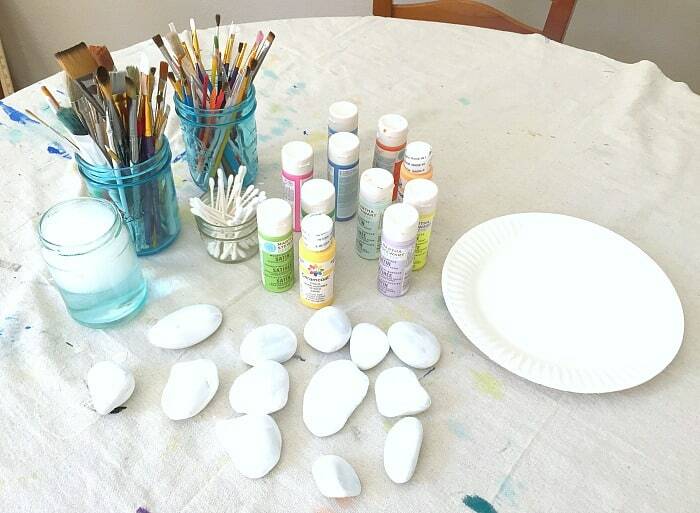 Set up an area to paint your rocks or stones. You can use newspaper to cover your table, or I’ve invested in a few drop cloths. These last quite a while and protect tables really well. If you have a classroom, you can get one per table group. I also place a jar of soapy water on the table for used brushes to be placed in. That makes clean up super easy! 3. 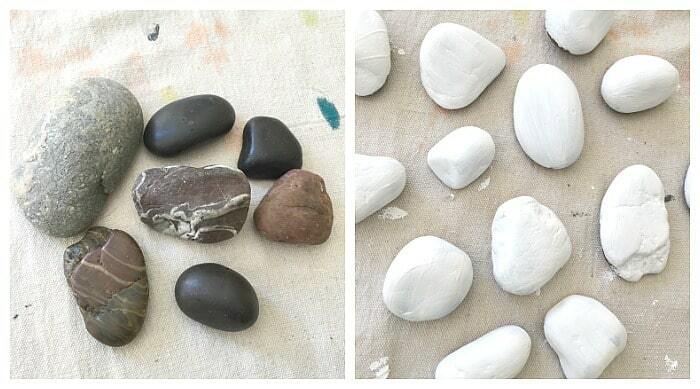 Depending on the darkness of your rocks, you might want to paint them white first so you’ll have a nice, blank canvas to work with. We painted ours with white acrylic paint and let them dry. You could do this ahead of time (even spray paint them white if you’re doing this with a large class) or let the kids do it on their own. 5. Once your rocks have dried completely, it’s a good idea to seal them with a sealant. We usually use Mod Podge or Krylon Satin Finish. If you’re using the Krylon Satin Finish, you’ll definitely want an adult to do this step. 6. The next day after the sealant has had a chance to dry completely, it’s time to add the wire to your rock. 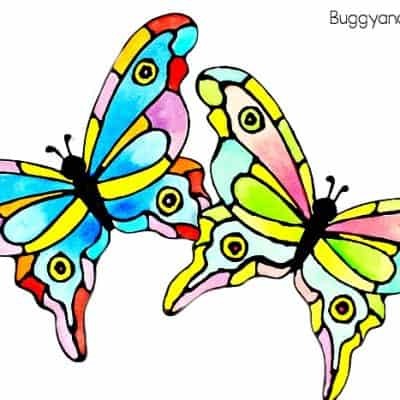 There are various gauges of wire available and any will work as long as you make sure the wire you choose will fit through your selected beads. 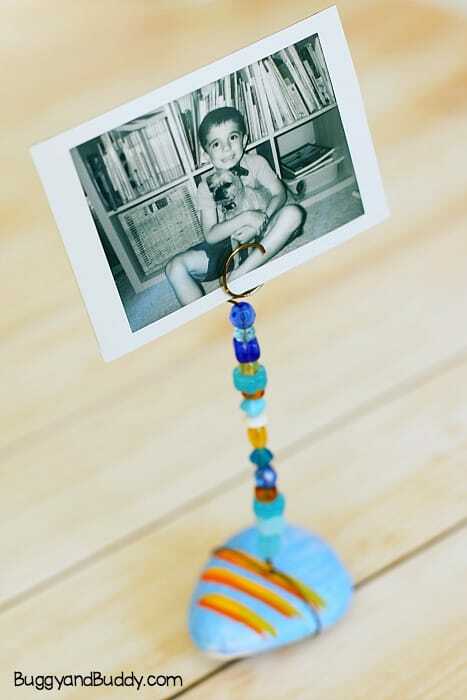 For our photo holders, we used 20 gauge wire. I dislike giving exact ages because every child is different, but I’d say probably any child younger than 4th grade will need assistance with this step. And if doing this with preschool, kindergarten, first, or even second grade, I might actually just have an adult do this step for the child. Take the end of the wire and hold it on top of the rock. Wrap the wire around the rock one time (sometimes you have to be creative and pick which directions will hold the wire best). Twist the wire together with your fingers first and then carefully tighten with pliers so the wire doesn’t slip off. 7. Cut the wire so you have about 7-8 inches left sticking straight up from your rock. 8. String beads onto the wire until you have about 3 inches left at the top. 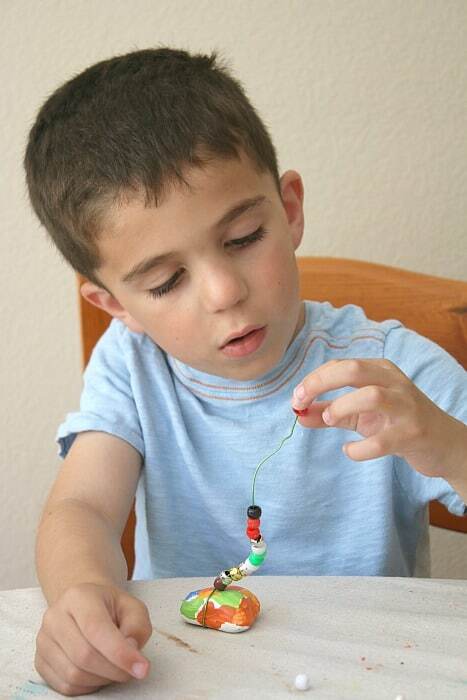 Younger children will definitely want to use beads with a larger center like pony beads. 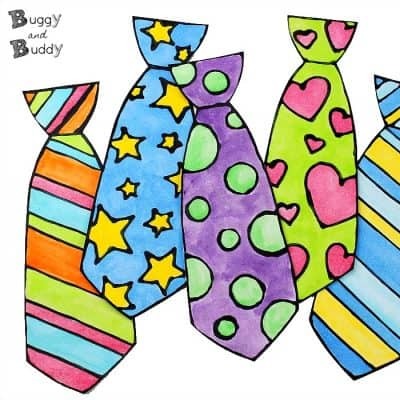 Older children can use smaller beads. Like I said before, just be sure to check that the beads you’ve chosen for the project fit onto the size of wire you are using beforehand. 9. Now it’s time to create the loop to hold the photo. Any child younger than 4th grade would most likely need an adult to do this step. 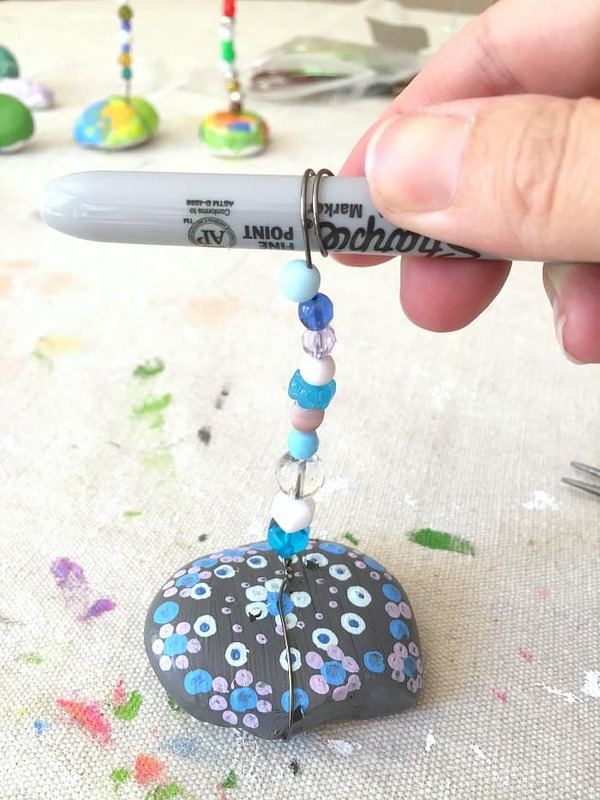 Take a Sharpie or thicker marker, and wrap the remaining wire around it securely about 2-3 times until it reaches the beads. Use your pliers to adjust the loop so it’s sticking up straight. 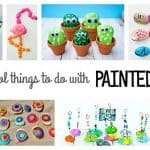 Look at all the DIY painted rock photo holders together- so colorful and fun! 10. 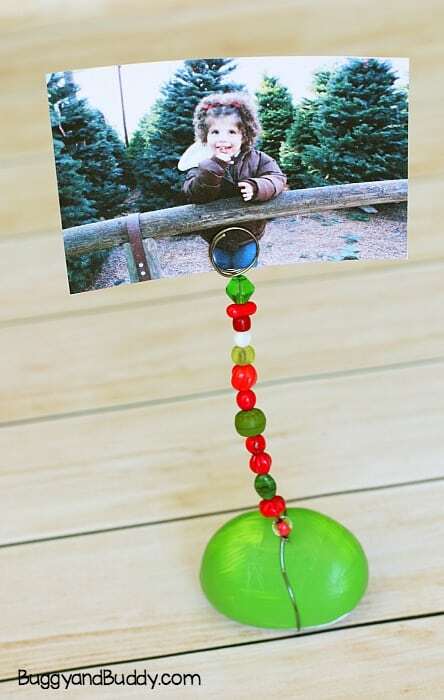 Place a special photo inside the loop to display! 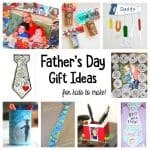 For Mother’s Day or Father’s Day, it could be a special photo of the child with his or her parent. For Christmas you could use a photo of a child in a Santa hat. 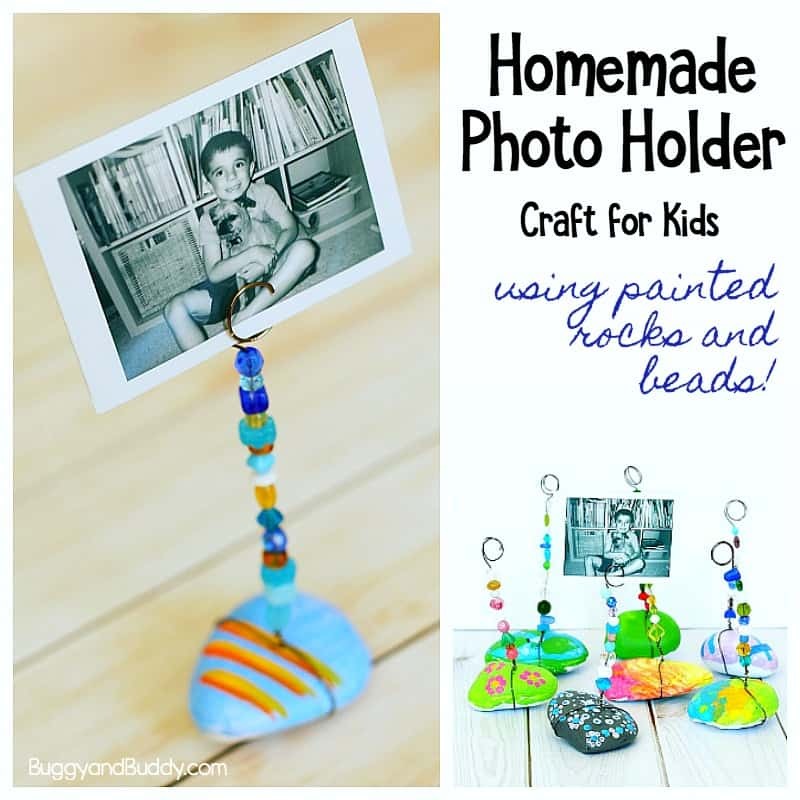 If you want the photo to remain in the rock photo holder permanently, you can hot glue it to secure it. Otherwise, the photo can be changed out. 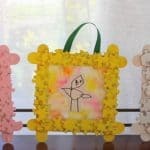 Children might also want to take their own photos to display. My daughter loves using the Fujifilm Instax camera to take her photos. She loves how they come out immediately and there’s all kinds of different film types available like monochrome, film with rainbow borders, and even film with a Star Wars border! These are super cute, but need to finish in one day. 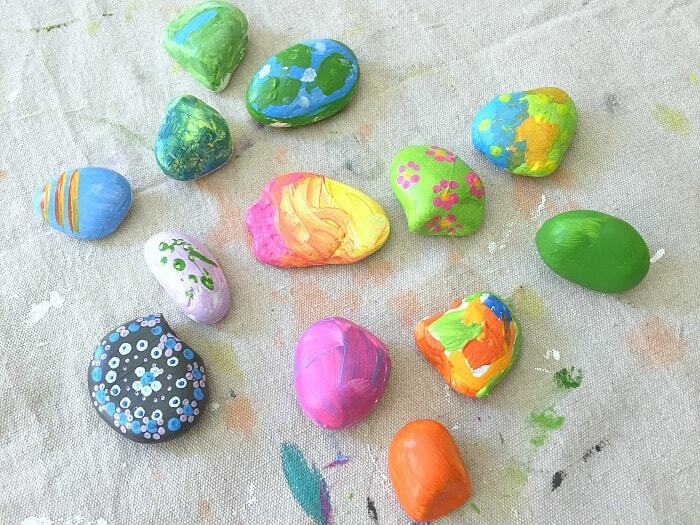 I’m wondering… what if I had all the rocks pre-painted white, could the students use sharpies to decorate the rock? Should I add sealant before the sharpie? Hmm… I’m worried the Sharpie might not adhere to the sealant depending on which kind you use. I’m thinking it might be safer to spray paint the rocks white with a good point that’s less likely to chip or come off and then use Sharpie on that. Depending on how much time you have, a sealant could be applied on the finished rocks in the morning and be dry enough to add the wire later in the day. Hi. 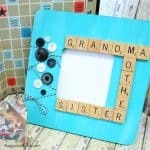 I love this craft idea. 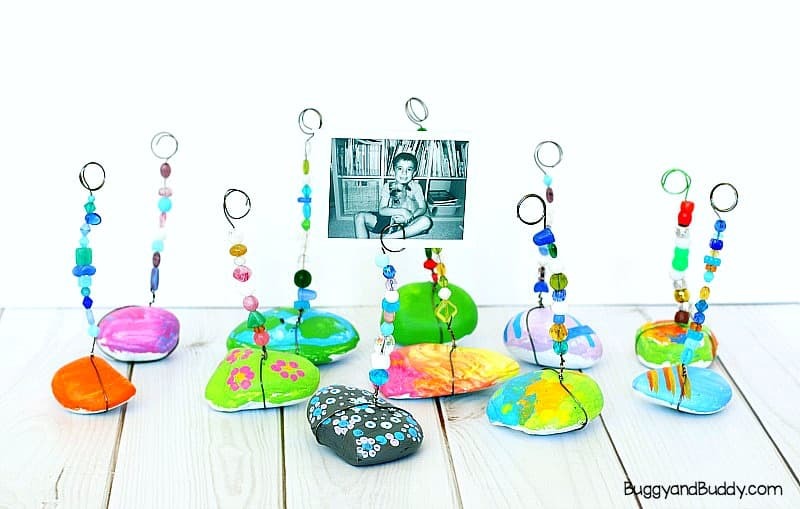 We are planning to do these rock photo holders for my daughter’s 12 year old birthday party (so all older kids). I have a couple of concerns and need some advice. Since we only have 2 hours I thought paint markers would work best (thoughts). And I plan to have a hair dryer and fan to speed up the drying process. 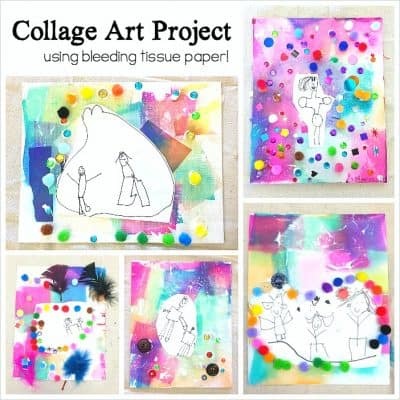 Then use Mod Podge to seal and also speed dry. Will that all dry with enough time to wrap the wire and add beads?? Hi Claudia! I’m so excited you’re thinking of making these at your daughter’s birthday party. I went to my rock painting expert friend (Sam from Color Made Happy) and she suggested the best route is solely use paint pens and no sealer. Here’s a post with tips that will help. Be sure to share the results if you end up doing them. And happy early birthday to your daughter!